SOCHI, Russia (AP) Belgium will keep defender Vincent Kompany on the 23-man roster for the World Cup even though he is unlikely to be ready for the opening match of the group stage. 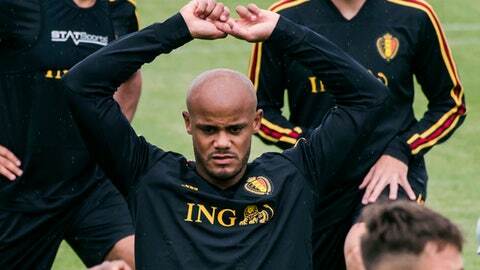 Kompany injured his groin in a friendly against Portugal this month and the Red Devils added Laurent Ciman to their camp as a precaution. Ciman was sent back to Brussels on Saturday to await final word on Kompany’s status.